Hi, I'm Monica and below is a picture of my family. I am glad you stopped by! I am new at this mom thing but I love it most days . I LOVE to read, although I don't have the time to read as much as I use to. There is nothing better than grabbing a pen and opening a new book. Why a pen? Because I do not have the ability to read ANYTHING without underlining or taking notes. I never go anywhere without my camera. Photography is my passion. I love old movies,"Steel Magnolias" and the show Golden Girls. I am an old soul. I would rather be enjoying the coziness of my home with my family than out and about. Not only do I have an insatiable appetite for reading and old movies, but also being with friends, lip gloss, journaling, reading the Word, starbucks, chocolate, organic and all things pink. I started my blog with the same intentions as most. I wanted one place where family and friends could check up on us and see current pictures. When I first started my blog it was a hard time for us because we had been trying for months to have a baby and had been unsuccessful. When we finally became pregnant we lost the baby. After that my blog took on a new form. I love to journal, so this became my journal, an outlet for my sadness, anger, and joy. I loved how I could share with others across the world in their journey's in life and I could invite others to share in mine. I am not good with words nor is my grammar always correct. But if you can overlook that and see my heart in my blog you might find we are kindred spirits. I don't want you to get the wrong impression. I am not perfect nor is my family. This is a blog, not reality. My son is not always a smiling happy baby, my attitude is not always uplifting, my hair is not always "done". When at home you can usually find me in sweats, I try to pretend I don't see the ever growing laundry pile, and I should probably give our floor more attention that I currently give it. I want my blog to be a place of honesty and a place to be transparent. Please feel free to comment your opinion or experience. After you leave a comment I will head over to your blog to check out your place! I write posts on my relationship with Christ, marriage, my family, photography, parenting, personal experiences, homeopathic remedies,books, all things mommy, recipes, the occasional craft and my favorite is having giveaway posts. Don't be lurking in the shadows. Introduce yourself, I'm glad you're here! It is SO NICE to meet you! Motherhood is the thing that has grown me the most, since walking with my Lord and Savior. It is awesome, and stretching... God is so good! Yes, we do have the same taste in music... keep in touch okay. Hi Monica! Thank you for the comment on my little one's picture today. That is a great compliment coming from someone who is very talented in photography. I enjoyed reading your blog and looking at all your pictures. You do beautiful work. I look forward to reading any tips that you can give. I've always loved taking pictures, but have gotten more serious over the past 6 months. I have done a few photoshoots already. I'm with you that I love taking pictures of kids. They are so fun and unpredictable. I'm scheduled to do a wedding in May...yikes! Thanks again for stopping by my blog and I will definitely be a frequent visitor of yours. Hi Monica! I am not sure how I found your blog. But I am excited that I did. I, like you, love photography and love spending time in THE WORD! Unlike you though, I take pictures as a hobby and not for business...although maybe one day I will get there. Your blog is so beautiful and your pictures truly breathe talent! Looking forward to adding you to of one my many "blog spots" to stop by, stay awhile, read, and learn! Monica, it's nice to meet you! I think your blog is similar to mine - a modge podge of this and that which is why I was intrigued. I am following you from BlogFrog. Looking forward to getting to know you a little better! Hi there. I came over to your blog after seeing the "small blog discussion in Blog Frog. I have enjoyed reading your blog and will come back for sure. I am following now. I too am a Christian woman. I write about my walk with Christ and how he has so graciously changed my life and my heart. I look forward to getting to know you more. Your photos are beautiful! I've not yet had the opportunity to read much of your blog, but I'm very much looking forward to reading more. You seem to be such a genuine person, and I like that. God bless! This is what I needed to read! I started out in this blogging world as purely a tracker for my family and friends... and then, well, life happened so I decided to shape and mold it into my learnings, ventings, and all things ME. But this blogging world can seem so intimidating, so reading this brought me back to relaxation and just wanting to blog! I look forward to all that you are willing to share with us readers. Your story is something WORTH WHILE! Hi! My name is Nicole and I started Another Day Another Diaper the blog mostly because my husband said it might be a good idea. I've been a stay at home mom for two years (just after Lorelei, age three turned one) and it's been nice to be able to share and blog. I love having an outlet. I am now your newest follower and I have to tell you how much I love participating in your Before & After link up. Thank you for blogging and sharing! Hello Monica, Nice to meet you. I think I got her from Love That Shot, but really I don't remember. It is late at night, when I do most of my reading, blog hopping, photography research/learning etc. I've enjoyed the few posts I have read. You look to have a sweet family. I am a Christian mommy of 3 girls, wife, homeschooler and photographer wannabe. Out surfing photography blogs and somehow came across yours. *So* glad I did! I love your pictures and even more now that I have read your "Meet Monica" page and see that you, like myself, love the Lord and Savior Jesus! :) So nice to "meet" you and look forward to following your blog! It's so nice to meet you, Monica, but, I'm so sorry to hear you're not feeling well in this new year ... it sure hasn't affected your photo ability one bit! :) The photos on today's entry are wonderful! My husband and I both are under the weather with the flu, ourselves. This is my second go around with it in less then a months time ... we missed Thanksgiving with family because of me, (hubby didn't want to leave me), and then we missed Christmas, because he got sick (and I stayed home with him!) He's still sick from that, and I caught it again! :( I love winter, and snow, but I dreamed of spring last night! After the past few weeks, I would welcome it! I wanted to say that I'm going to become a follower here. I love your work ... and the tones you have on your images! You have such a gift! I also admire how you share your faith, as well. Thank you ... no doubt you're touching hearts and lives by doing just that! I'm looking forward to keeping up with you here ... and I'll also join you on Facebook! Praying you'll feel better soon! You said to leave a comment, so i am. 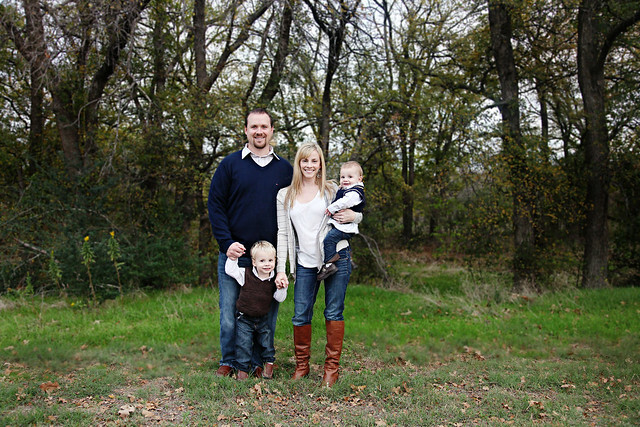 You have a beautiful family, beautiful blog and are very talented with your photography. However, your witness and freedom of sharing it is phenomenal. After all, it is All About Him (one of my Pinterest boards). I just wanted to share that you are an inspiration to me tonight. I became a follower but I do have a request. A follow me by email button that would make it easier on those of us who do not always use a traditional computer. God bless you and your family. I just stumbled across your blog and love it! Thanks for blogging and for putting yourself out there! I found something on pinterest that brought me here and was wondering if you knew where or how I could get it so I can hang it on my wall. It is "our family rules" and at the bottom says James 1:2. Not sure if it's printed somewhere but would LOVE to have it. Thank you again for writing. and your family is beautiful. God Bless you all. Hi! It's great to meet you! I'm very excited about your 31 days series! I'm also your newest follower. :) Happy blogging!